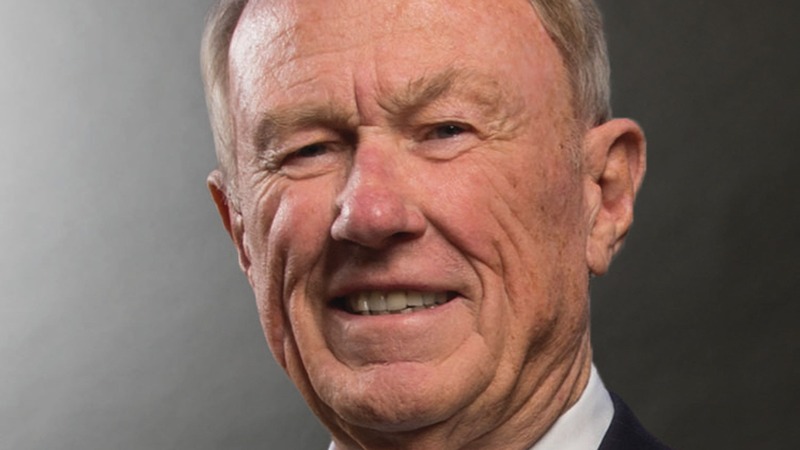 John Bouma, a prominent Valley attorney, died Tuesday night after being hit by two vehicles on a Phoenix Street. The attorney is famous for his guidance for the expansion of the Snell & Wilmer law firm and his help to found a legal group to aid the poor. Bouma, 82, died at about 9:08 p.m. after being hit near the 7500 blocks of North Seventh Street, according to the Phoenix Police Department. The two vehicles involved in the accident is a 2017 Toyota Tacoma driven by a 39-year-old man and a 2017 Jeep Patriot driven by a 23-year-old woman. The Police Department has not shared the identification of the two drivers. As per investigators, Bouma walked into the street, possibly to recover an unknown item, when the northbound Toyota struck him. And the collision threw him to the southbound lanes, where the Jeep hit him. Bouma was taken to hospital where he was declared dead. Neither impairment nor speed appear to be factors in the accident, as per the preliminary investigation. As per the Police, an investigation is going on. And neither of the drivers was injured. Bouma has been predominant in making business, personal and philanthropic ties in the state. Former U.S. Sen. Jon Kyl said that they had been friends for over 40 years, first as a lawyer and then as his political supporter. Kyl’s family also had been socialized with the Boumas. The Boumas had four children. , where Bouma served as president for one year; and a mentor to many Arizonans. He also loved hunting and was active in various community organizations. Kyl said Bouma was a good companion and would be missed greatly. It should be reported here that Bouma had worked on many cases that helped define Arizona, such as representing the Arizona Public Service Co. utility against challenges to power plant construction. He also represented three Arizona governors, including Jan Brewer when she signed Senate Bill 1070. The controversial anti-immigration law was gradually watered down by various court rulings finally ruling that immigration enforcement as the responsibility of the federal government. Bouma has said amongst all his cases these are the most remarkable legal efforts. Jen Brewer had described Bouma as an extraordinary person and excellent attorney. She said that she had worked with Bouma for several years as the legal challenge to SB 1070 dragged on for a long time. Brewer also said that Bouma was more than a great lawyer; he also had a big heart, and his impact on the legal profession can never be forgotten. Bouma has served as the head of Snell & Wilmer for 32 years. He had made the firm from a single office in Phoenix to fewer than 100 attorneys to 12 office locations throughout the western U.S. and Mexico with more than 450 attorneys. Matthew Feeney, who succeeded Bouma as chairman in 2015 said that Bouma had made this firm into a firm of great lawyers and great people. Bouma had been in the firm as a partner and an important person in the compensation committee. Bouma’s forte was complicated commercial litigation, and he was an excellent trial lawyer. Bouma had grown up in a small town in Iowa where his father ran a movie theatre. He had graduated from the University of Iowa in 1958, and he had got his legal degree from the same University in 1960. After that he had worked in the Army before entering the legal profession, ultimately becoming chairman of Snell & Wilmer in 1983 and serving in that capacity until 2015. He first moved to Arizona as he was sent to Fort Huachuca as part of the Judge Advocate Generals or JAG Corps. He had great compassion and was dedicated to helping the community as he has cofounded the Equal Justice Foundation, which provides legal help for financially weak people lacking money to hire an attorney. Bouma also had been involved in many community groups including the Downtown Phoenix Partnership, the Phoenix Chamber of Commerce, the Valley of the Sun United Way, Mountain Legal Aid, the Phoenix Art Museum and Arizona Opera. As per his friends and family, his tremendous commitment to service and a great sense of humor will be missed.